Another classic San-X pun with the lion of "dandelion." 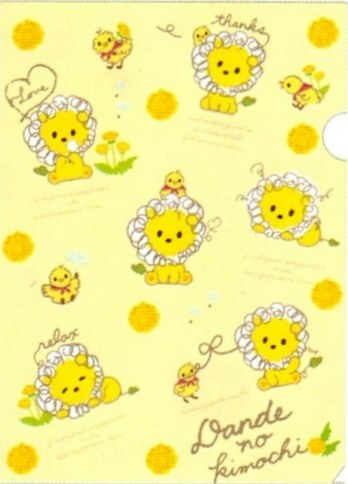 This dandelion lion shows his mood and feelings through his dandelion colored mane! Check out the stickers (first image) for examples of all his moods drawn with the hairs of his mane. The lion shows his mood in his dandelion colored mane. 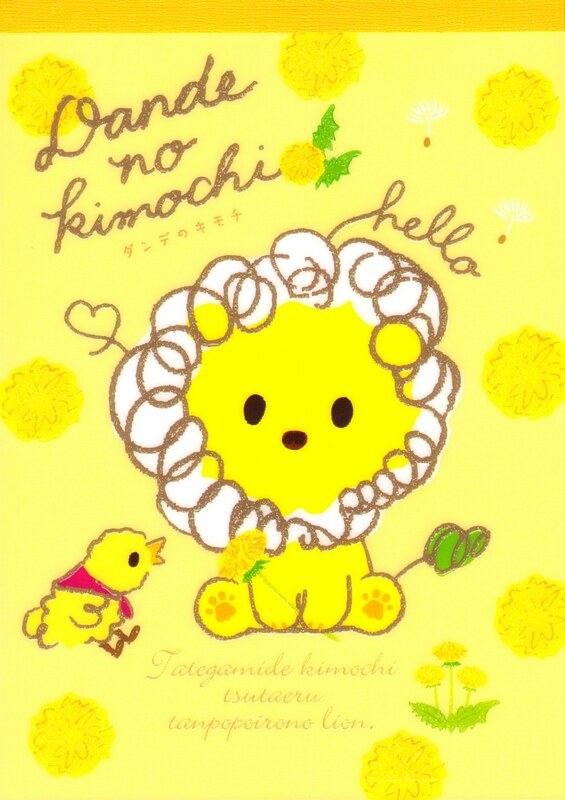 "Kimochi" means "feeling, sensation, mood" and comes from the heart.